When the lovely people at Westbeach got in contact about a collaboration I jumped at the chance to review their clothes. I chose to do it the only way I know how, on a trip to the beach. 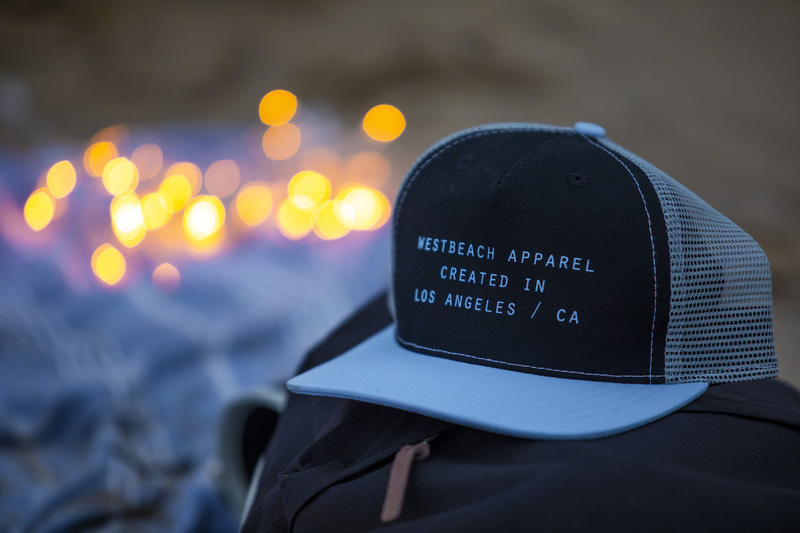 Westbeach are a Canadian clothing brand specialising in snowboarding and outdoor/active gear. I love outdoor adventures and cosy clothes for when I’m indoors so as soon as I took a look at the Westbeach website I knew I’d love their stuff. If you are planning a winter adventure, looking for activewear or just a cosy hoodie then check them out. They often have some great offers on too. Here’s a the lowdown on my favourite items…. I chose this jacket in Amethyst, it is light weight and has a water-repellent added to the outer fabric. It is a great option for me to pack on trips abroad as it folds up neatly. I love the colour and the fit too. Although not perfect for colder winter weather as it’s made of a thin material, it’s fine for layering up and great for keeping the wind off. 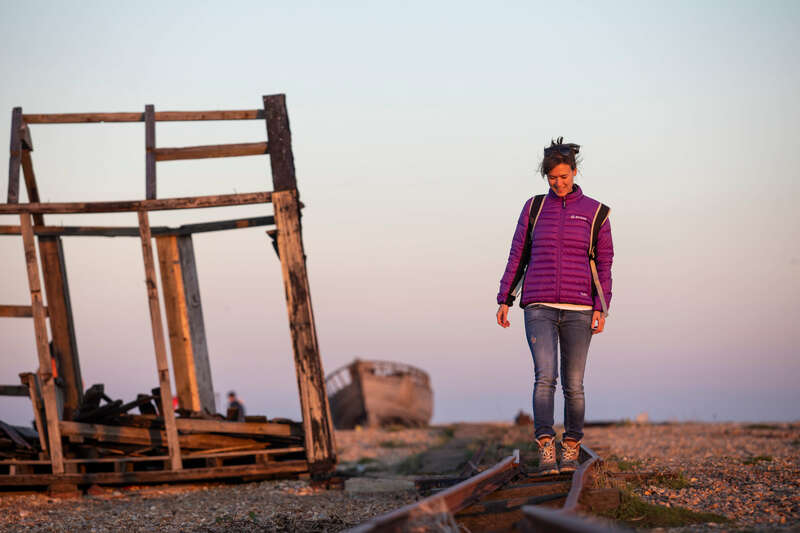 Walking along the old railway line on Dungeness beach wearing Westbeach Downhill jacket. I love a cap, great for the beach, for keeping the sun out of my eyes on a paddle boarding adventure or to hide under on a bad hair day. This trucker style cap looks funky and has mesh back panels to help keep cool on sunny days. I never used to be into backpacks, but since having Emily it has been so much easier to have my arms free to scoop up a toddler when needed. The Montreal backpack is 20 litres in capacity, has an internal laptop sleeve and a zipped front pocket. It’s a really good size with ample room to put everything in for a day at the beach. I really like the Westbeach logo on the front too, it gives it a cool look. This is by far my favourite item of clothing. It is a men’s hoodie in small so it’s oversized on me. Perfect for keeping warm post surf or for getting cosy with a cuppa at home. I love the bold design and I’m really into grey so the charcoal marl colour was the only choice for me. 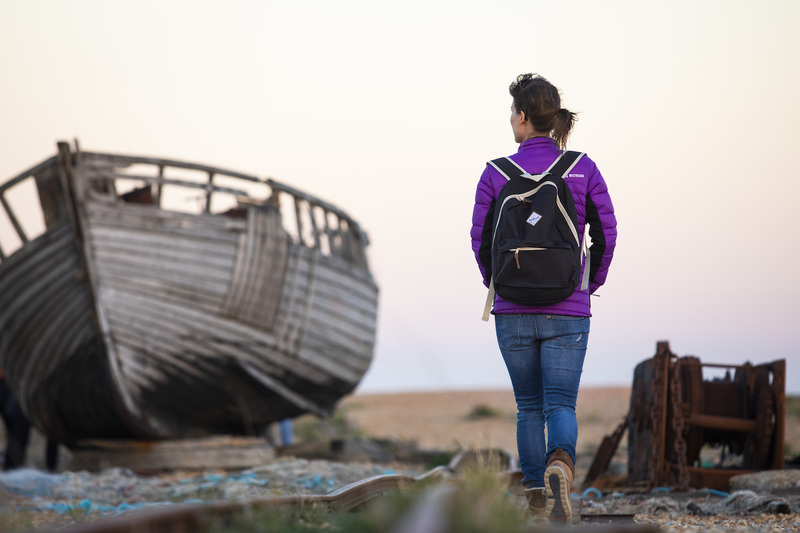 I trialled my Westbeach gear at Dungeness in Kent, this place isn’t the typical british seaside spot. It has a unique character from the quirky homes on the beach to the eerie lighthouse and old dilapidated boats amongst the shingle. It’s a beautiful spot at sunset too. I also spent sometime exploring the sand dunes at Camber Sands in East Sussex. It was my first visit to this part of the UK and I was blown away by the beauty of the area. If you’ve not been before, book a trip immediately! There is so much to see and do and if you need some winter clothes Westbeach is your answer. I was gifted the clothes from Westbeach in exchange for a review.